Tracy A. Davis grasps design from a variety of angles: as the founder of Urban Dwellings, a Portland based Interior Architectural Practice; as an active member of the American Society of Interior Designers (ASID); and as an owner of a boutique design shop, offering her sophisticated eye as she curates an array of elements for the home. Since founding Urban Dwellings in 2005, the firm has become one of New England’s leading design firms, gaining a reputation for reinventing space by employing a blended aesthetic, with a devotion to interior architecture at its core. 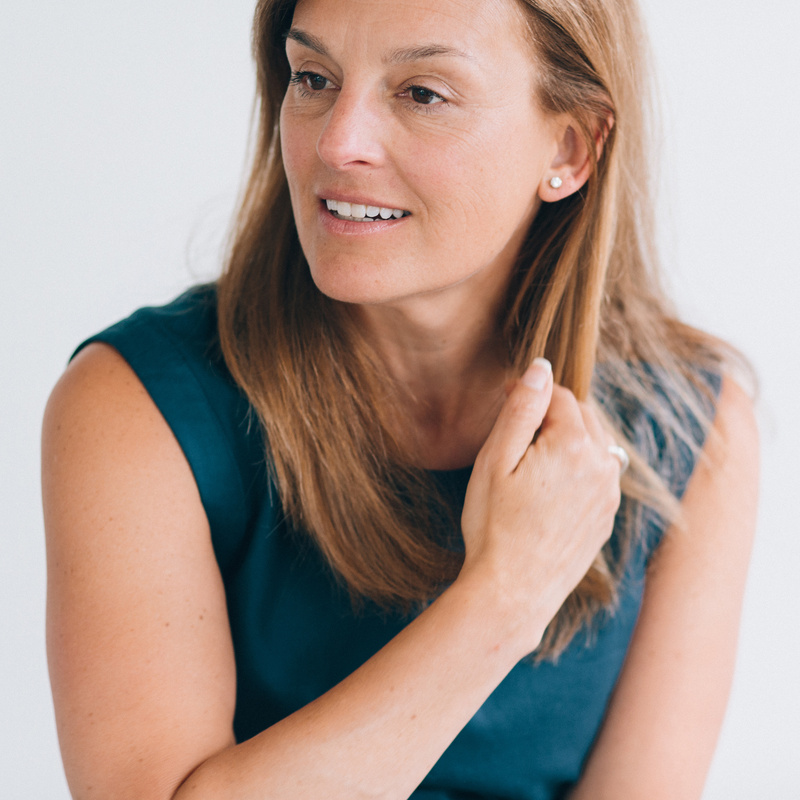 Tracy’s portfolio is diverse, showcasing luxurious coastal homes, boutique hotels to restaurants and a transformed Maine lighthouse. 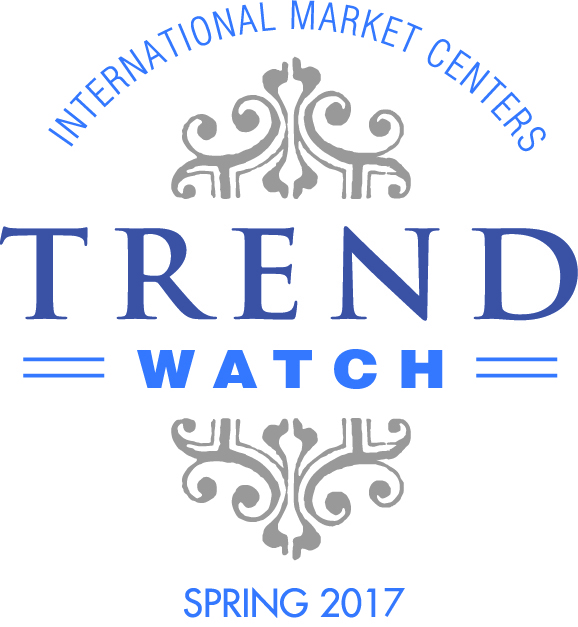 Every year I make the journey from my studio and boutique shop in Portland, Maine to High Point Market, eager to discover the season’s new trends. This past trip was full of beautiful decor, textiles and furnishings that I look forward to incorporating into my upcoming projects in Maine down the east coast to Florida. As I walked through the show, I was truly blown away by the product, and I am excited to share what I discovered. Elements of brass, transparency, and tech sparkled within the showrooms; each new product was a gem of a find! Let’s start from the floor up: Feizy, one of my favorite floor covering companies, introduced their new collection, Emory. This is a beautiful selection of rugs inspired by the artistry of watercolor painting. 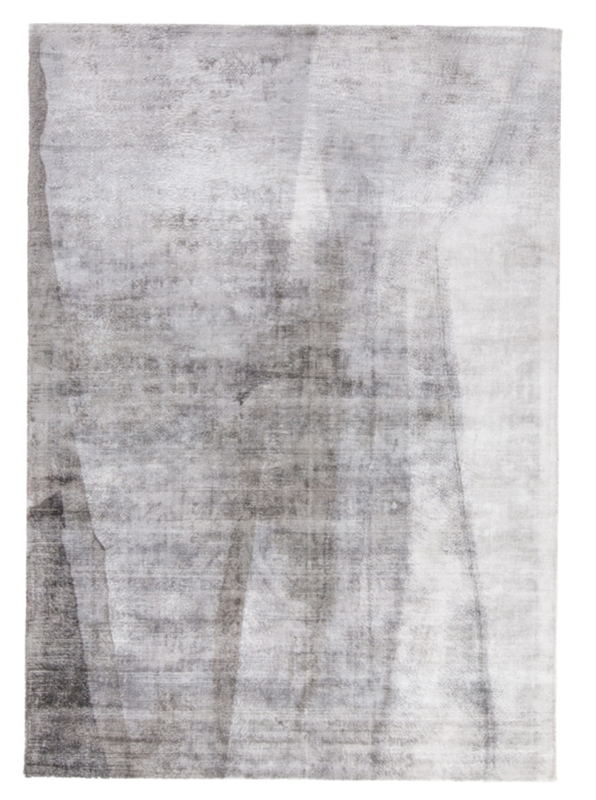 Hand-finished, the rug adds beautiful texture to a space, and the colorways are a perfect grounding element. Texture seemed to be a common theme of this show, with Ratan and cane woven chairs abundant throughout the showrooms. 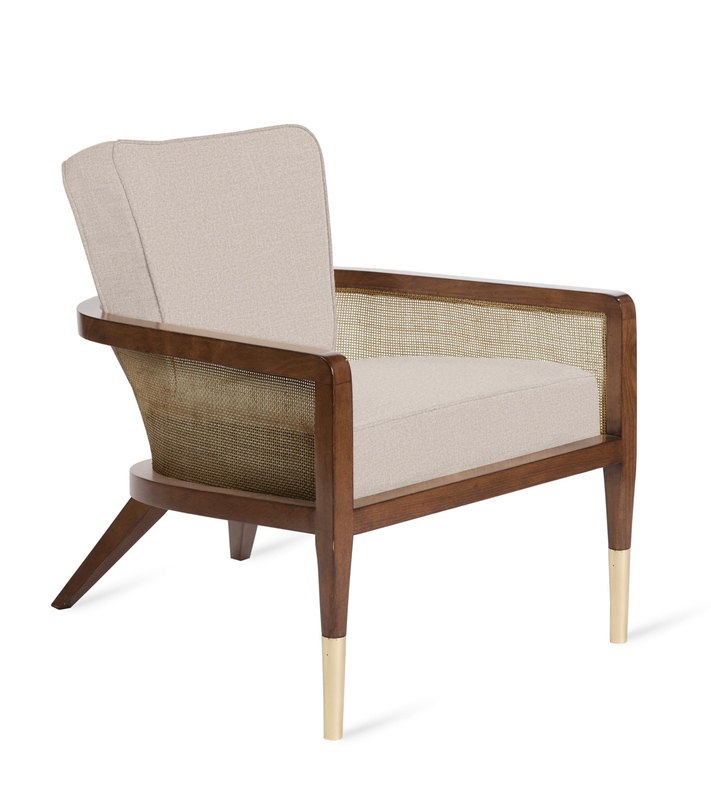 Dowel revealed their Grant Lounge Chair and Bungalow 5 showcased their Edward Lounge Chair. Both were luxurious in their own right, and I loved the thought of how light could filter through the woven panel; perfect for a home on the coast. Brass details shone brilliantly as the foot caps of the chairs, which seemed to be a premonition for the rest of the market— brass was everywhere I turned. Be it a small detail, or the main element, warm golden tones were a very popular trend. I especially loved seeing it used on the new Sandy barstools by Gabby. 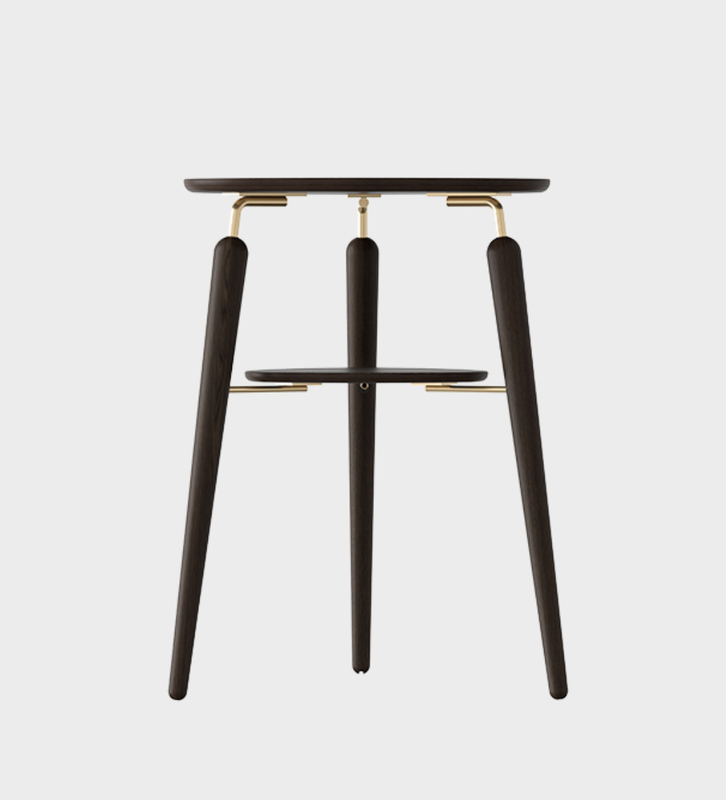 The form of the stool was made with acrylic, while gold iron served as the base structure. Playful and beautiful all in one, perfect for the kitchen counter. The last trend I wanted to speak to was the increasing awareness of integrating technology and interior spaces. User experience (UX) expects more than just ergonomic design and beautiful finishes nowadays, it is looking for how it can function in the 21st century, too. One of the best examples of this was a side stool made by Umage, called My Spot. The Scandinavian design proved it was not only stylish (beautiful light and dark oak options with brass hardware details,) but also practical in its function— a true form and function find. With a built-in USB-charging station, this table is ideal for those places in your interior where you need to put things away but still keep them within reach. I highly recommend taking a look at this item, and I’m excited to continue my search in how else I begin thinking about integrating interior design and the ever evolving world of technology. Until next time, High Point!